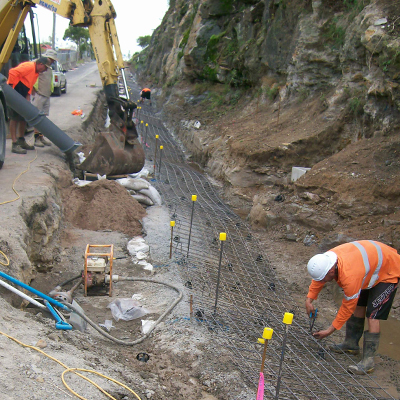 This Contract was successfully won based on an alternative retaining wall design offered at tender. 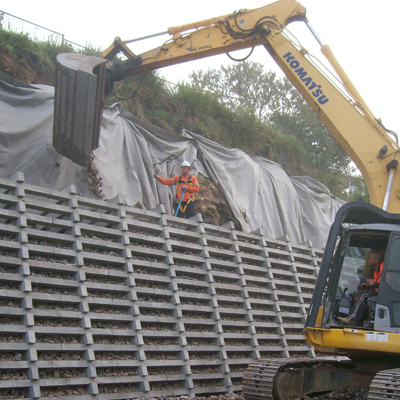 Bolte offered an alternative crib lock retaining wall system at a considerable saving to the Client. 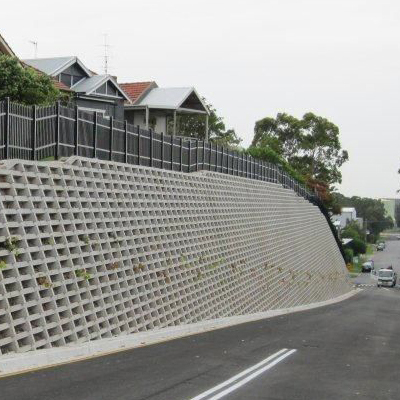 Bolte Civil undertook a revised design and construction approach in consultation with its design subcontractors to provide an alternative retaining wall design which met both the design briefs and the satisfaction of the client. 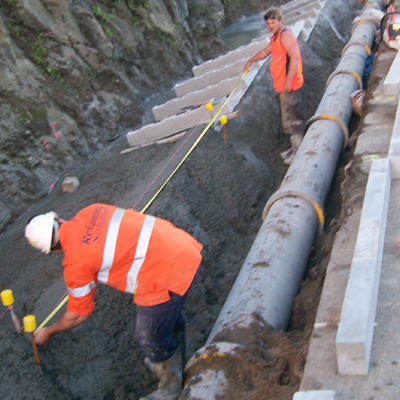 The challenging works entailed constructing a long and very high criblock wall , over 165m long and 9m high, on a very steep site behind residential dwellings. 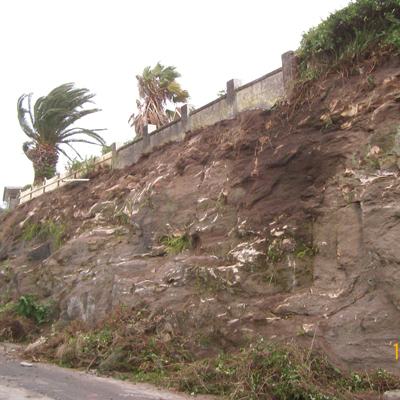 The face area of the wall was 1250m2 , and required 4,500 tonne of rock ballast to be backfilled along and adjacent the steep embankment. 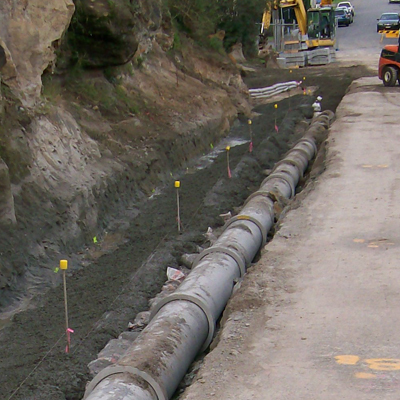 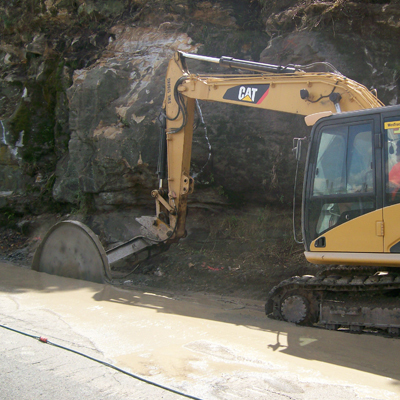 Associated works included, rock excavation and trimming, stormwater drainage, road pavement reconstruction, turfing, traffic management and security fencing.